Since 1942, The New York Times crossword puzzles have been providing puzzle enthusiasts and problem solvers with an absorbing pastime and an irresistible daily ritual. Renowned for their clever clues and crafty constructions, The Times crosswords have become an icon of popular culture. 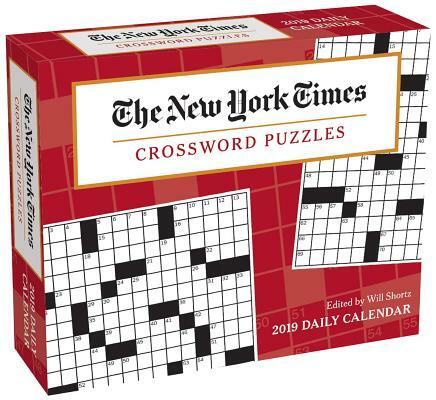 Like the newspaper’s crosswords, the puzzles on each page of the all-new The New York Times Crossword Puzzles 2019 Day-to-Day Calendar become more difficult through the week, providing hours of the unique stimulation and satisfaction that only The New York Times crosswords can offer.